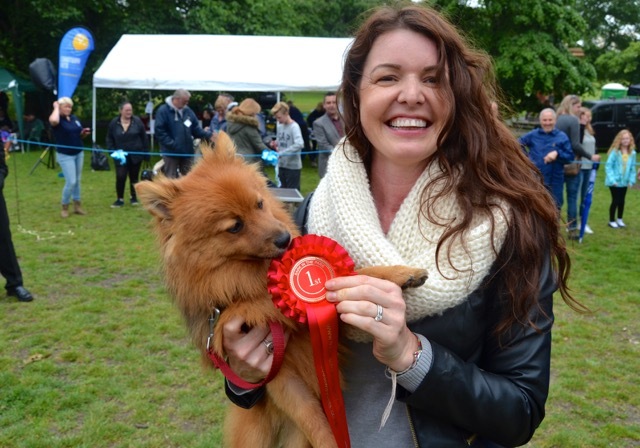 Here are the winners from the Pedigree Ring at Bark In The Park 2016, sponsored by Coastway Vets. 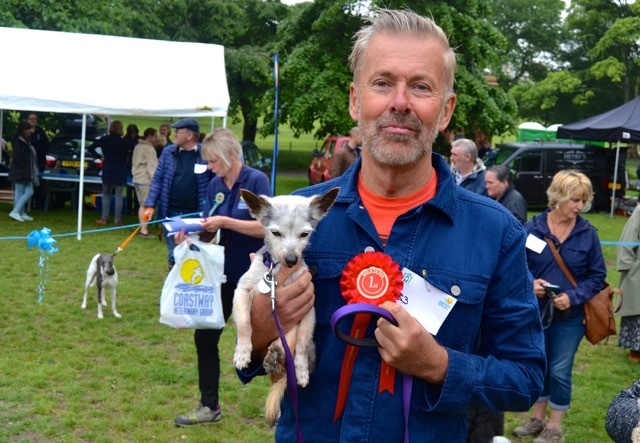 Thanks to our judge Darren Clarke (below): fair, knowledgeable, generous and very good with dogs. 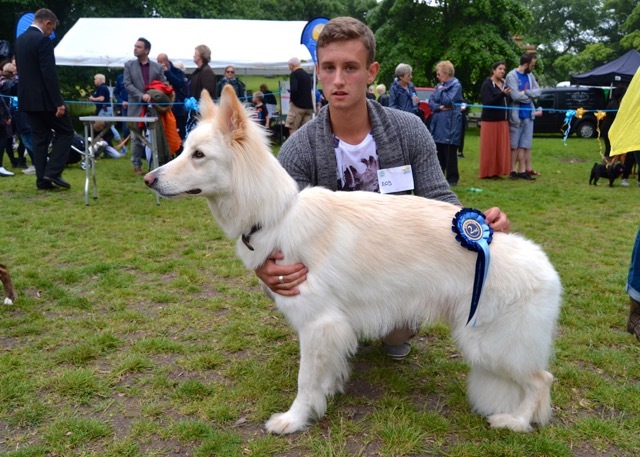 As well as countless dog shows, including Crufts, he can now add Bark In The Park to his CV! Winner: RUPERT, Great Dane. Presented by Jill Cranfield. Third place: TANK, Rottweiler. Presented by Page Allen. Winner: SIMON, Pomeranian. Presented by Hazel Stewart. Second place: COAST, Chuhuahua. Presented by Nathan Klein. Third place: LILY, Griffon Bruxellois. Presented by Diana Pearson-Morgan, from Warwickshire. 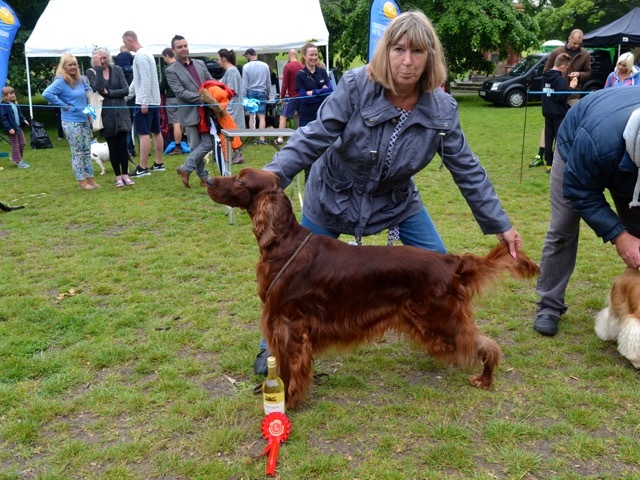 Winner: FRAZER, Irish Red Setter. Presented by Maria Williams. Third place: BLUE, Bracco Italiano. Presented by Adam Belson. Winner: FRANKIE, Border Terrier. Presented by Phil Hankinson. Second place: PEGGY, Border Terrier. Presented by Sofia Ivarsson. Third place: LUCY BOO, Jack Russell. Presented by Rebecca Gedall. Winner: MILLY, Frency Bulldog. Presented by Izzy Glass-Oliver. Second place: CORA, Miniature Schnauzer. Presented by Silvia Gorgues. Third place: BOUX BOUX, French bulldog. Presented by Roman Fox. Winner: RONNIE, Boxer. Presented by Stacey Hudson. Second place: LILY, German Shepherd. Presented by Julian Blackman. Third place: LILY, Great Dane. Presented by Amanda Singhateh. Winner: FRIDA, Whippet. Presented by Robert Barrett. Second place: BAMBI, Pharaoh Hound. Presented by Annette Cherabino. Winner: SMARTIE, Rottweiler. Presented by Page Allen. Second place: DOUGLAS, Wire haired Dachshund. Presented by Pauline Langridge. Third place: BENSON, English Setter. Presented by Maria Williams. Winner: ZORRO, Chuhuahua. Presented by Richard Walker. 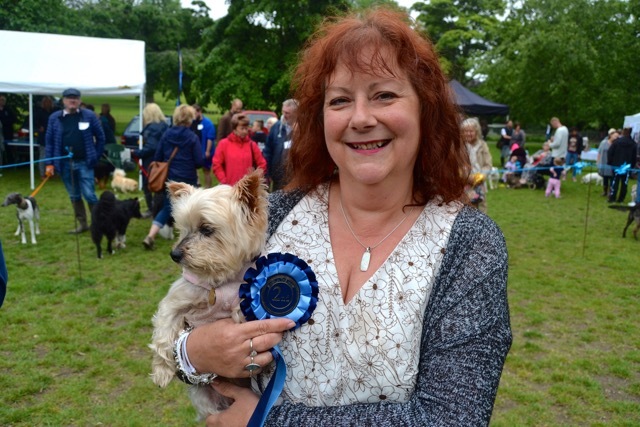 Second place: COZETTE, Yorkshire Terrier. Presented by Cheryl White. 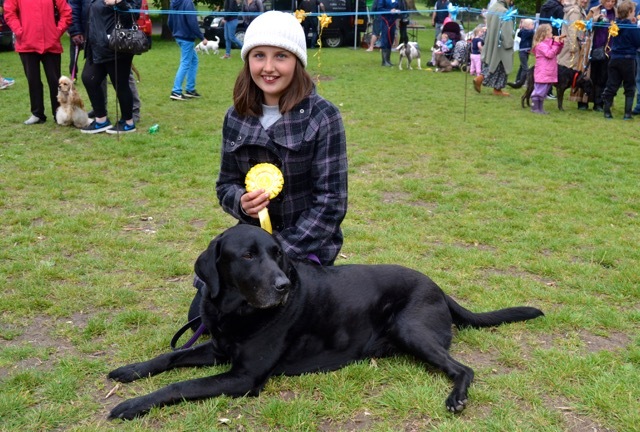 Third place: ALFIE, Labrador. Presented by Grace Tripp. Second place: SMARTIE, Rottweiler. Presented by Page Allen. Best Puppy: RUPERT, Great Dane. Presented by Jill Cranfield.